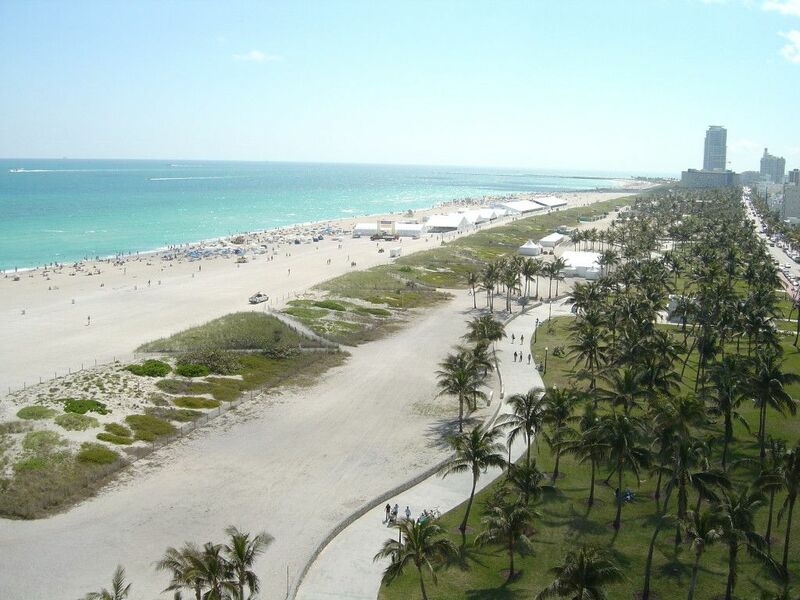 Miami Beach is consistently voted one of the best beaches in the USA. Located on an island by the city of Miami, Miami Beach is actually considered a separate municipality and is divided into three regions: North, Middle, and South Beaches. Out of these three areas, most tourists only stay in the South Beach area. If you’re interested in understanding why so many people love South Beach, then just keep reading. In this article, we’ll go through some of the best things to do in South Beach and explain how to get there. Of course one of the main things to do in South Beach is, well, actually walk on the white sand beach! Here you can take a dip in the beach’s clear blue waters, take a long stroll by famous Art Deco architecture, or just lie down on a towel and bask in the glorious South Florida sunshine. If you want, you could also take a walk on the Miami Beach Boardwalk, which extends from its south entrance at 500 Ocean Drive to the tip of North Beach by Indian Beach Park. Anyone who gets tired while walking this long boardwalk can get on the Miami Beach Trolley absolutely free of charge. 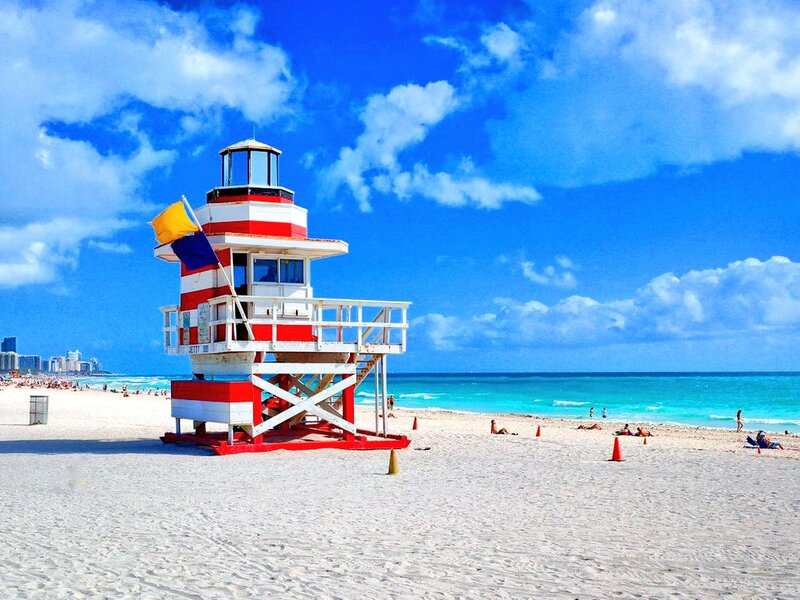 Just so you know, lifeguards are on duty at Miami Beach every day from 9AM to 5PM. Every list of things to do in South Beach includes a stop at Lincoln Road. In case you haven’t heard, Lincoln Road is one of America’s greatest pedestrian shopping malls. Here you’ll find seven blocks of stores, hotels, restaurants, and clubs that range from high-end to great bargains. Just a few of the popular stores here include Claudio Milano, Beach Bunny Swimwear, J. Crew, and H&M. For dining, you’ll find a wide variety of cuisines to choose from including Spanish tapas, Hawaiian poke, and Italian pizza. Whether you decide to spend a few dollars here or just window-shop, you’ll definitely enjoy a stroll down this famous street. By the way, Lincoln Road also has a farmer’s market that takes place between 9AM and 6PM every Sunday. Since Miami Beach is such a tourist mecca, there are dozens of fun professional tours to choose from. Whether you want to go on a walking tour of the historical Art Deco area, satisfy your foodie cravings on a culinary tour, get a your adrenaline fix on a Miami Speedboat, you’ll find what you’re looking for here. One interesting tour to consider is going on an airboat ride of the nearby Florida Everglades. A few other popular tour options nowadays include parasailing, a half-day tour in a retro car, and double-decker bus tours of Miami proper. Trust us, you’ll find too many things to do in South Beach once you start researching all the tour packages offered here. If you didn’t get enough relaxation on the actual beach, perhaps you should consider adding a stop to Lummus Park Beach to your list of things to do in South Beach. Located on Ocean Drive between 5th and 15th Street, Lummus Park Beach is one of the city’s most photogenic parks with nice grassy areas, Art Deco buildings, and plenty of palm trees. If you’re addicted to a morning jog, then this is the place to do it. You can also rent a few roller skates and take a few passes through this park in the iconic Miami Beach fashion. People who have to choose only one park to visit in Miami Beach should definitely schedule a few hours at Lummus. It’s well-known that Miami is home to a large percentage of Latin Americans, especially of Cuban descent. This is great news if you’re a fan of Latin American flavors because Miami Beach has loads of authentic Latin restaurants. Some of the best-reviewed Cuban restaurants on South Beach include names like Lario’s On the Beach, CVI.CHE 105, and Puerto Sagua. 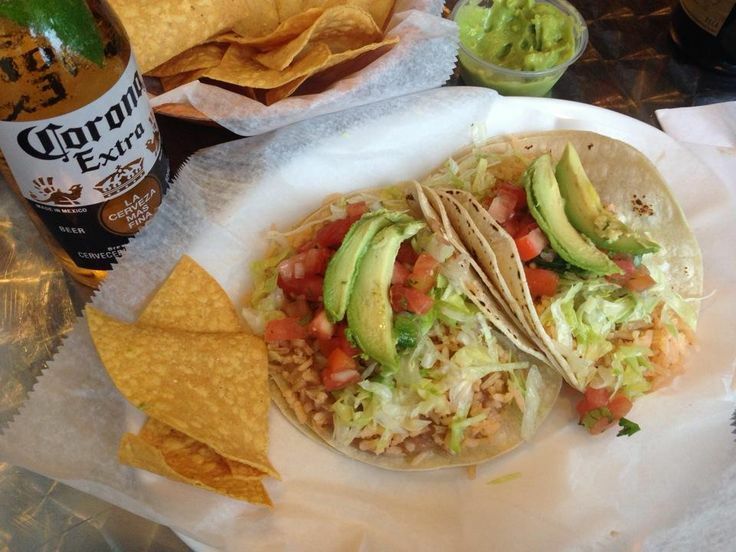 For travelers on a budget, a few great Mexican restaurants to try out include Taquiza, Naked Taco, Alma Mexicana, and Tequiztlan. Although Latin cuisine is the specialty on South Beach, you’ll have no problem finding a diverse array of cuisines here ranging from Asian to European and, of course, fresh seafood. In fact, some of the best-reviewed restaurants in Miami Beach are Italian. Art lovers will find plenty to admire throughout Miami Beach, especially if they admire Art Deco. 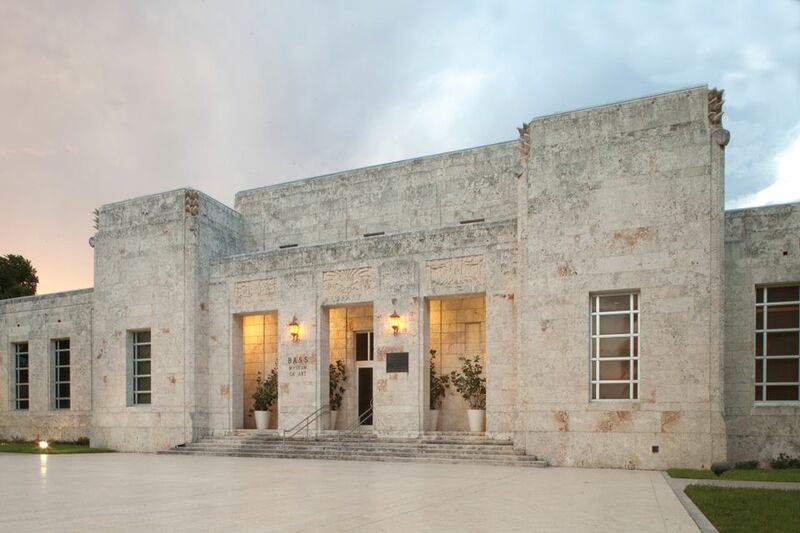 Probably the best stand-alone museum in South Beach, however, is the Bass Museum of Art at 2121 Park Avenue. Designed by architect Arata Isozaki, the Bass Museum is celebrated for its collection of European artwork, especially Northern European paintings by the likes of Rubens and Dürer. People not that into art will still enjoy a tour of the Bass Museum’s interactive computer laboratory that allows everyone to become a pro artist in a few simple clicks. Luckily for you, there’s only one major airport by South Beach that everyone in the world should have no problem booking tickets to: Miami International Airport (IATA: MIA). This huge airport is one of Florida’s busiest and is extremely close to the South Beach area. From MIA, you’re a 30-minute drive from South Beach. Begin your voyage on FL-836 E towards Miami and then get on FL 907 N. You’ll stay on this road for about 9 miles. Continue on this road until you reach Alton Road and then take 10th Street down Pennsylvania Avenue. Now you should be in the South Beach area. Note, there are tolls on this route. Miami’s South Beach area is so much more than an area for spring breakers to get wasted. Hopefully this list has inspired you to enjoy the region’s impressive natural wonders, world-renowned architecture, and culinary treasures. Whatever you choose to do, you’re sure to have an exciting and memorable trip to this rightfully lauded region of the Sunshine State.